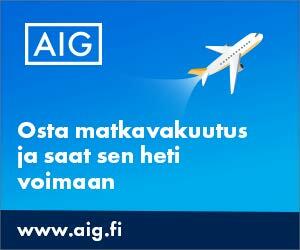 Argentiina ulottuu trooppisesta pohjoisesta aina Etelä-Amerikan antarktiseen eteläkärkeen saakka. Buenos Aires on Latinalaisen Amerikan eurooppalaistunein kaupunki, jossa on paljon nähtävää ja paikalliset ovat iloisia ja vieraanvaraisia. Tällä matkalla pääset tutustumaan Argentiinaan pintaa syvemmältä aina eteläisestä Tulimaasta Iguazun vesiputouksille Brasilian rajalle. 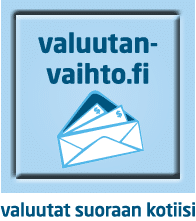 Kiertomatkan kesto 22pv, lentoaikataulut lisäävät kaksi päivää matka-aikaan. Reception on Ezeiza´s International Airport. Transfer to the Hotel. Rest of the day off, of agreement with schedules of flight of entry. Accommodation. Breakfast. City Tour for Buenos Aires, crossing 9º of July Avenue, Santa Fe Avenue, House of Government, National Congress, Colón Theatre , Puerto Madero, San Telmo’s Neighbourhood and La Boca´s Neighbourhood, I walk along Caminito. Palermo´s Hood. Return to the Hotel. Accommodation. Breakfast. Move to the Airport to take flight by AR, with destiny to the Trelew. Reception and transfer by bus to Puerto Madryn. Accommodation. Breakfast and move early towards Peninsula Valdes. We detain in the Isthmus Florentino Ameghino, where we will observe the local characteristics, declared Patrimony of the Humanity. We continue the tour towards the north part of the peninsula, stopped in Cove Valdés, penguins, marine wolves, and seals adorn this beautiful place. We continue towards Puerto Piramides where we will embark to fulfil the impressive one “Wales sight view ” that come to this place in May, (Looking for hot waters to procreate) and they move back towards the Antarctica in December. Return to the hotel. Accommodation. Breakfast. Move towards the south to visit the principal points of Trelew, Rawson and Gaiman. Safe visit to the museum Palaeontologist de Trelew, that of the most importance of South America, and of technical characteristics of last generation. Likewise, we will enjoy the Reservation of Penguins in Punta Tombo In the evening we take the exquisite one Tea Welsh , in the best specializing house of the zone. Return to the hotel. Accommodation. Breakfast. Visit of Puerto Madryn and move to Trelew to take flight towards Ushuaia. Reception and transfer to the hotel. Accommodation. Breakfast. Departure towards the port to embark in catamaran. In this excursion of 3 hours we will visit the beacon of the end of the world and the island of the birds. Ideal to take photography of strange animal species. To the return and after the half day, visit to the Lapataia National Park, where the geographical limit meets Chile and the end of the Route Nac. n º 3. As option we will be able to do this visit in ” Train of the End of the World ”. Return to the Hotel. Accommodation. Breakfast. Departure towards the centre of Tierra del Fuego to visit Escondido´s Lake and Fagnano´s Lake, impressive natural conference, incredible formations will be able to be observed. To the return possibility of eating the exquisite lamb to the spit, prepared specially in a cabin of the zone. Accommodation. Breakfast. Move to the Airport to take flight of Aerolíneas Argentinas to El Calafate. Reception and transfer In to the Hotel. Accommodation. Breakfast. Gone out early in bus special and accompanied of guide registered towards the viewing-points of the Perito Moreno Glacier. Stops to observe beautiful conference panoramic. Arrival to the principal viewing-point of this incredible natural formation that dates back of 500 years, with walls of ice of 90 mts of height and with a front of 4 km from width. Free time to observe this marvel. In the afternoon shipment in catamaran to cross from few distance one of the lateral walls of the Glacier. Return to the Hotel. Accommodation..
Breakfast. Move to the port to embark early in the excursion to the Upsala Glacier, to which we accede after 6 hours(o’clock) of navigation. Of characteristic different from the Perito Moreno (this one floats and has form of ”tongue”) but equally impressively. It includes luncheon in trip. Arrive at the hotel at the dusk. Accommodation. Breakfast. 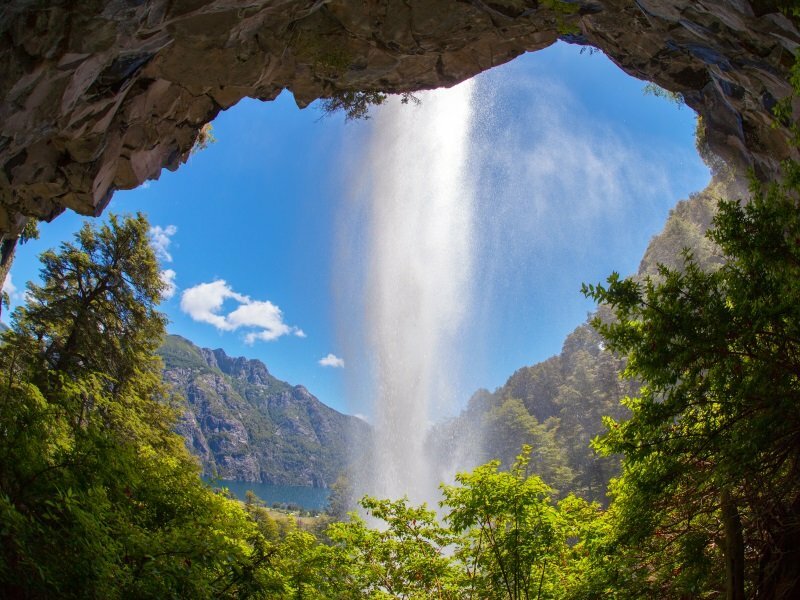 Transfer to the airport to take flight to Bariloche. Reception and transfer to the hotel. Accomodation. Breakfast. Excursion and crossed by the Small Circuit, estimating the Bariloche’s principal points. In the evening, visit to the Hill Cathedral. Breakfast. We go out to realize the navigation, which begins to Puerto Pañuelos, in Peninsula Llao Llao, to approximately 20 Km. 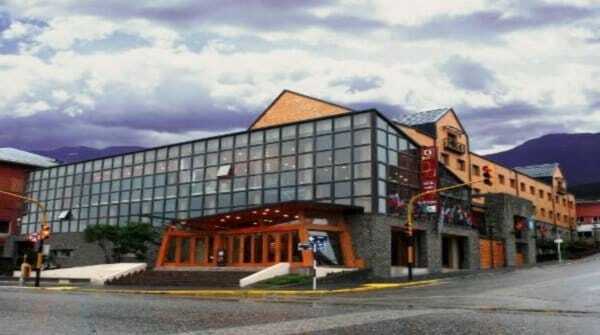 Of Bariloche’s centre. It is navigated near two hours up to Quetrihue Port inthe peninsula of the same name, where famous Forest of Myrtles is visited throughout the world. Return to the Hotel. Accommodation. Breakfast. Move to the Airport to take flight by AR, with destiny to Buenos Aires, to take flight connection towards to Salta. Reception and transfer to the Hotel. Accommodation. Breakfast. We begin to cross this beautiful city, Visiting the historical and commercial center, throw the Plaza On July 9, Church Cathedral, Historical Chapter, Church of San Francisco, San Bernardo’s convent. Ascent to the Hill San Bernardo, it panoramic seen. Monument to the Gral. Güemes, Monument to the Battle of Salta. Summer villa of The St Lawrence and Handcrafted Market. Breakfast. We begin a mini Safari for The Clouds crossing the surroundings of Salta, together with Quebrada del Toro, Tastil’s ruins, San Antonio de los Cobres, Viaduct La Polvorilla. Return to the Hotel. Accommodation. 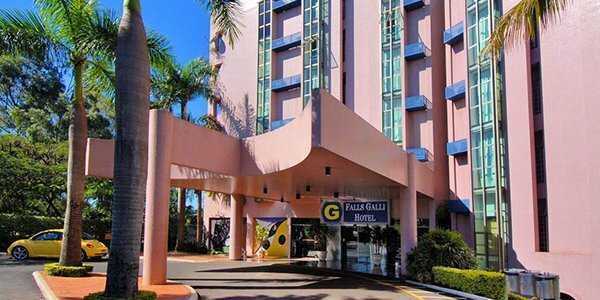 Move to the Airport to take flight by AR, with destiny to Buenos Aires, to take flight connection towards to Foz Iguazú.Reception and Customs steps. After that, move to the Hotel. Rest of the day off. Accommodation. Breakfast. We will move and deposit to the Iguazú Falls National Park (Brazilian side), place from which it is possible to estimate a magnificent sight of the Argentine Iguazú Falls. Later, we will take a helicopter, which will take us for across the park and will locate us on the wonderful Falls. Return to the hotel. Accommodation. Breakfast. We will go out for the picturesque National Route nº 2, across the Iguazú National Park. We will see from the viewing-point the set of the falls. We will descend to the jumps Two Sisters, Mbiguá, Boy, Ramirez, Bosetti, and the investor & jump San Martin. We will continue for Bella Vista’s Crag, visiting the jumps Alvar Núñez y Lanusse. Later we will come for narrow gangplanks up to the Jump Union to contemplate the famous Throat of the Devil, impressive fall of 84 meters, involved in a permanent mist that forms a soft rainbow. Return to the Hotel. Accommodation . Breakfast. Move to the Airport to embark in flight of Aerolineas Argentinas to Buenos Aires. Reception and after that, move to the Hotel. Accommodation. Breakfast. Move to Ezeiza’s International Airport to take international flight with destiny to your City of Origin. 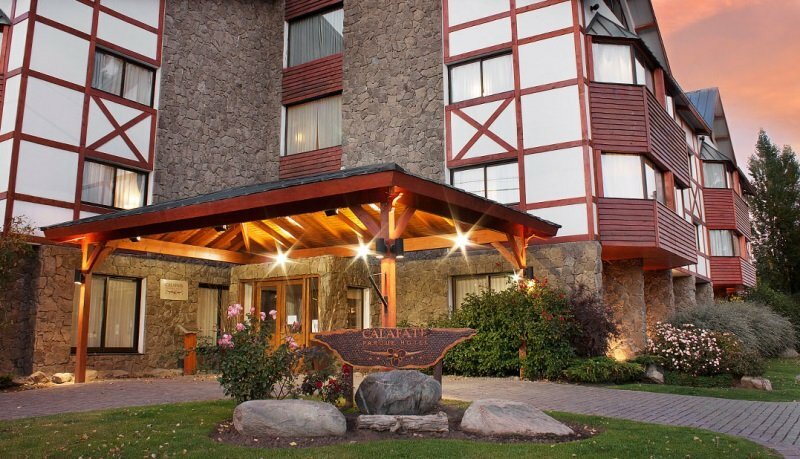 Calafate Parque Hotel sijaitsee El Calafaten keskustassa. Tämän perheille sopivan hotellin lähellä sijaitsee muun muassa Iglesia Santa Teresita del Niño Jesús ja Centro de Interpretación Histórica Calafate. Albatros Hotel on aivan Ushuaian sydämessä ja sen läheltä löytyy muun muassa Plaza 25 de Mayo, Ushuaian satama, Casa de Gobierno ja Museo Yámana. Falls Galli sijaitsee lähellä Iguazun putouksia, ostoskeskusta ja Monjolo puistoa. Argentiina ulottuu trooppisesta pohjoisesta Etelä-Amerikan antarktiseen eteläkärkeen. Argentina on tunnettu lähinnä pampasta, upeista jalkapalloilijoistaan, viinistä ja tangosta. Passi ja viisumi: Suomen kansalainen voi oleskella Argentiinassa viisumitta enintään 3 kk. Passin tulee olla voimassa vähintään aiotun oleskelun ajan.